Laurent Giles, celebrating it’s 90th anniversary, is one of the longest established and respected independent Yacht Designers and Naval Architects in the business. Today we specialise in custom motor and sailing Superyachts, providing yacht design, naval architecture and technical support to yacht projects around the world. Based in Lymington, UK, Laurent Giles & Partners was founded by Jack Laurent Giles in 1927, quickly becoming pioneers of new yacht design and boat construction techniques. The passion and innovation instilled by Jack Laurent Giles is firmly maintained by the company that today bears his name, and what began as one man’s vision for excellence has produced over 1400 successful yacht design projects and counting. Jack Laurent Giles, a graduate in Engineering Science from Cambridge University, set out to pioneer scientific yacht design. Early designs were conventional sailing yachts, but as his confidence grew he soon showed himself to be a master of his trade. Whilst many of the early designs were ‘gentleman’s’ sailing yachts the pursuit of performance was always paramount and honed in racing yacht design, including America’s Cup class designs such as Flica II and many successful RORC yachts. 63ft Vosper Thorneycroft built motor yacht Tamahine launched in 1933. Working with many of the world’s leading yacht builders, Laurent Giles developed designs for larger motor yachts that were to be the forerunners of today’s Superyachts. 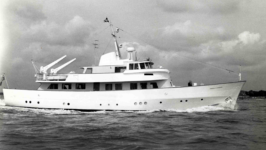 1955 saw the launch of Shyraga built by Abeking & Rasmussen. Extensively refitted in 2008 she is still, like many other timeless Laurent Giles designs, in service as a private yacht. During the early 60’s the Partnership expanded considerably, ‘Laurent Giles’ became not just a name, but a Brand: A successful, professional company with a wealth of experience in all types of yacht design that would stand the test of time. This was a hugely productive design period with major large yacht projects becoming the norm. In 1962 the Laurent Giles design team combined all their construction knowledge in the ground breaking, ultra lightweight, motor sailer, Blue Leopard built by William Osbourne. Constructed using a four ply cold moulded shell on a combination of laminated frames, with aluminium floors, main frames and bulkheads, the decks were a ply/balsa sandwich, this was a masterpiece of lightweight engineering. She remained with her original owner until 1990, extensively refitted in 2005 she looks and performs as well today as she did when she was first launched. In this period Laurent Giles also produced one of the first all aluminium offshore racing yacht, Gulvain, and one of the first to adopt GRP construction in the early sixties. Laurent Giles has always been at the forefront of yacht design. The 96 foot Diadem of Dewlish was designed as a yacht tender for Tony Boyden to follow the 1962 America’s Cup series, and built at Richards Shipyards, one of a number of Laurent Giles designs for this builder. 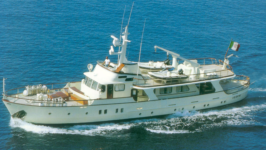 A larger yacht Aetea followed a couple of years later in 1964, re-named Lady Hoo, she was extended, with hull and superstructure extensions designed by Laurent Giles, and refitted in 1986/7 and is now a very successful classic charter yacht. Laurent Giles was quick to adopt the new GRP construction techniques which emerged in the sixties, on his death in 1969 Jack was working on the 26 foot Westerly Centaur which eventually reached production numbers in excess of 2,500 and was a hit across the globe. A long period of close co-operation with Westerly and Moody yachts followed with Laurent Giles designing the great majority of production boats built in the UK until the early eighties. The firm is widely known for its production designs of this period. By 1983 many of the older Partners had reached retirement and the firm re-formed as Laurent Giles Naval Architects Ltd. This brought a change of design emphasis, moving away from smaller production yachts towards larger custom designs. Again the firm turned to its expertise in large motor sailing yachts. At 46m, White Gull, built by Benetti, was one of the largest sailing yachts at the time, she was constructed in steel with aluminium superstructure, and was fitted with a lifting keel. The Maltese Falcon of the day. 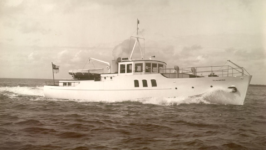 Custom designed fast and medium speed motor yachts were developed such as Dalvina a 24.3m semi displacement boat for Lord Iliffe, built by the Berthon Boat Company. This highly specialised yacht featured state of the art technology when she was launched in 1989 and even today is one of the highest specified yachts of her size. Winner of the Superyacht ‘Magnificent Enigma’ award in 1993, and perhaps the most unusual vessel to come from the Laurent Giles office, The Other Woman was the largest all aluminium yacht built at the time. At 58.5m she was an innovative hybrid motor sailer, with twin water jet units giving a speed under power of 20 knots, yet setting a 1,400 m2 sail plan (plus a 600m2 MPS spinnaker) she achieved a 24 hour run at an average 17 knots under sail during her delivery trip. Her shoal draft under power was increased to 5.5m by twin fore and aft lifting keels. 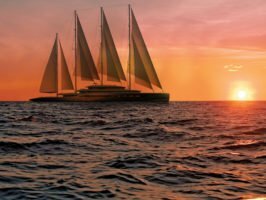 Not all the sailing vessel designs were for innovative yachts, Laurent Giles remain one of the few naval architects offering traditional sailing vessel design expertise. 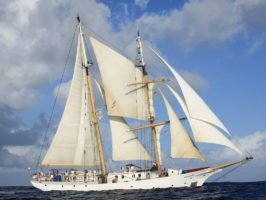 Robert C Seamans was built for the Sea Education Association in Massachusetts at Martinac Shipbuilding, carrying a crew of 40, she was designed as a 41.5m sailing research ship and her cruising ground ranges right across the Pacific. The Millennium saw a new generation of yacht owners, and with it the demand for the very large superyachts. This was a natural progression for the Laurent Giles Office, already working in the arena, and able to offer a unique blend of design, naval architecture and technical support. Close collaboration with Devonport Management Limited (DML) on an 80m classic motor yacht lead, in 2004, to Laurent Giles beginning full design, naval architecture and engineering work on a stunning 77m motor yacht. 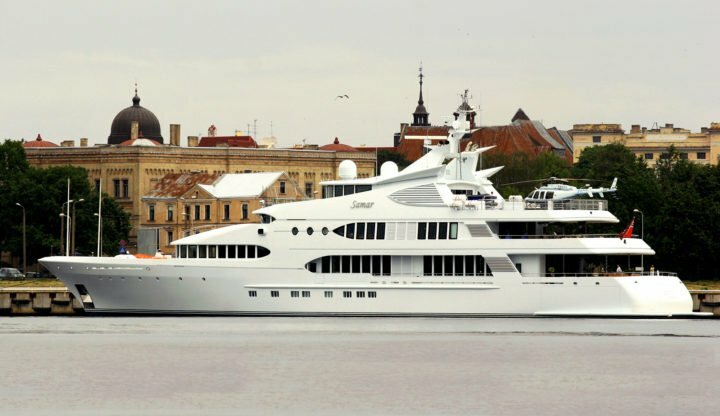 Launched in 2006 Samar was the largest yacht built in the UK since Britannia in 1953 and one of the first yachts to use diesel electric propulsion. In the top 20 largest yachts at the time of her construction, Samar was a true modern Superyacht, one of the first of the breed, and retains the timeless look and elegance that is linked to every Laurent Giles Design. Winner of the 2012 International Superyacht Award the 73m Stella Maris, built by Viareggio Superyachts to an Espen Oeino Design with Naval Architecture by Laurent Giles, is a classic example of our design ethos. Working seamlessly work with and supporting renowned Designers, Yards and Owners around the world we offer a discreet and professional service from a team with a unique experience and history. The future will bring new challenges and ever ready to meet them we pursue the latest developments in new construction materials and methods, hybrid diesel / electric pod drive propulsion systems, advances in communications and navigation, refined hull design and optimisation, hydrofoil advances, fully eco motor and sailing yachts. With concepts like the stunning 110m motor-sailer, Atlas, we can say with confidence that Laurent Giles will be at the forefront of advances in all areas of yacht design going into the future, just as we have in the past, and will continue as one of the longest established yacht design and naval architects in the world. 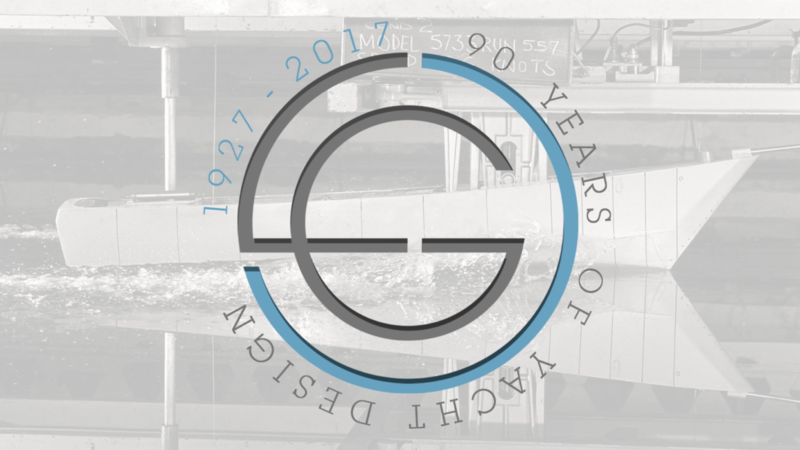 2017 see’s our 90th Anniversary. To which we shall wish to invite all our clients from around the globe to join us in a celebration and gives us the opportunity to thank those for their loyal custom.